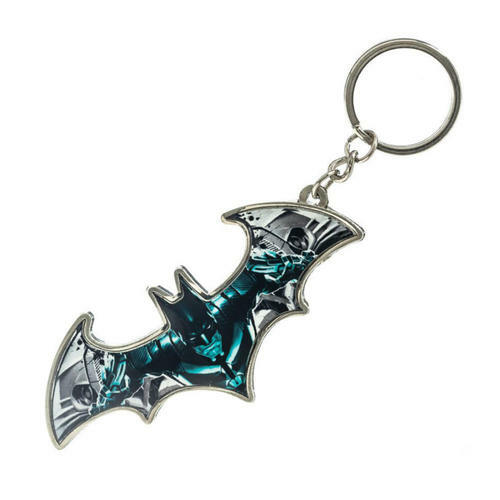 Metal keychain in the shape of the famous Batman insignia with a character image on the inside. Perfect for attaching to bags, belts, keys and other items. Officially licensed. 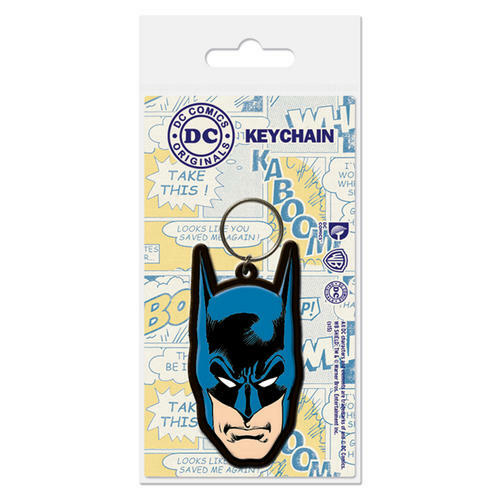 Batman Rubber Keychain featuring the Batman logo and made of soft rubber. The logo measures 6.5cm x 4.5cm and is highly collectable for the many fans of the character. Officially licensed. 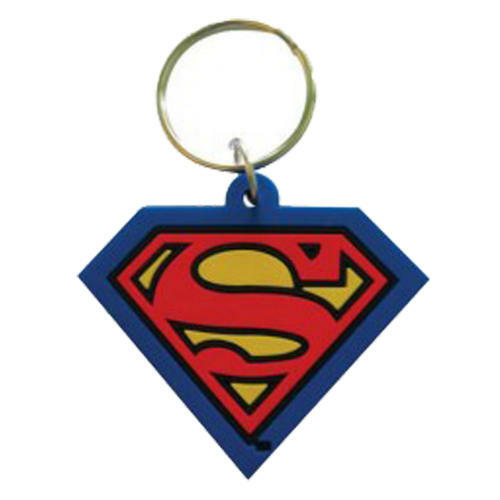 Superman Rubber Keychain featuring the Superman logo and made of soft rubber. The logo measures 6.5cm x 4.5cm and is highly collectable for the many fans of the character. Officially licensed. 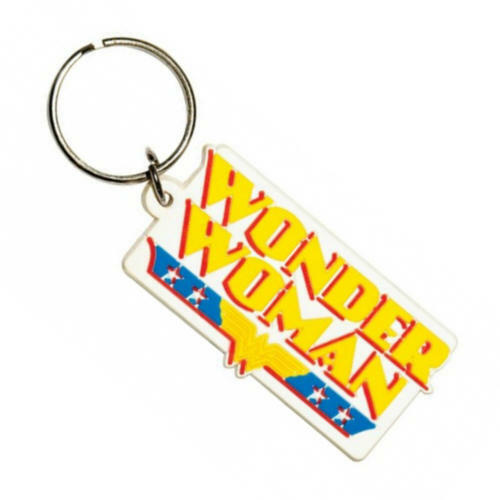 Rubber Keychain featuring the Wonder Woman logo and made of soft rubber. The logo measures 6.5cm x 4.5cm and is highly collectable for the many fans of the character. Officially licensed. Batman Rubber Keychain featuring the popular character and made of soft rubber. Can be attached to bags, belts, keys and other items. Officially licensed. 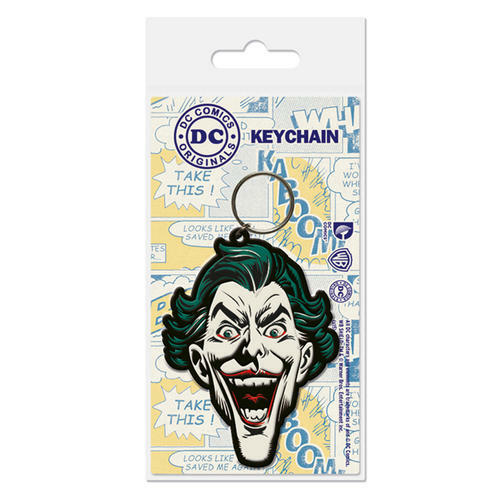 Batman Rubber Keychain featuring the popular Joker villain and made of soft rubber. Can be attached to bags, belts, keys and other items. Officially licensed. 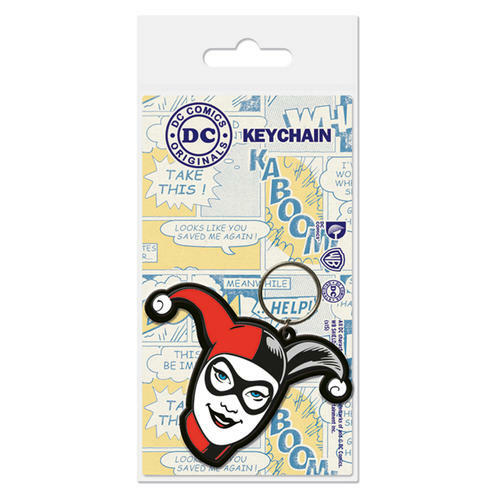 Batman Rubber Keychain featuring the popular Harley Quinn character and made of soft rubber. Can be attached to bags, belts, keys and other items. Officially licensed. 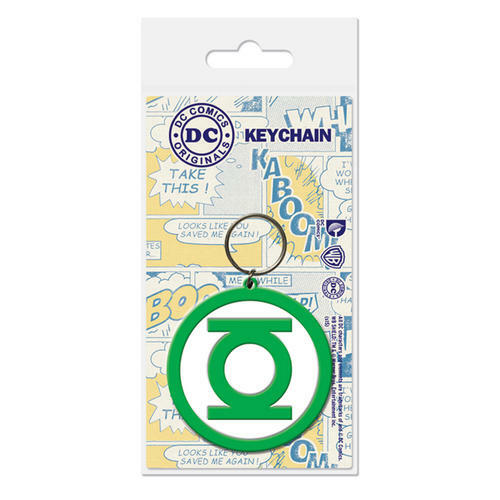 Green Lantern Rubber Keychain featuring the popular characters logo made of soft rubber. Can be attached to bags, belts, keys and other items. Officially licensed. 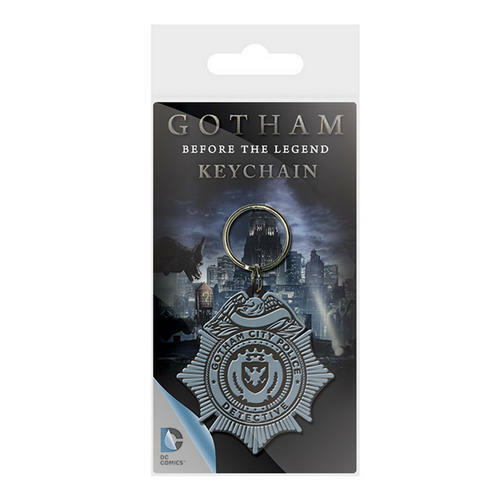 Batman Rubber Keychain featuring Gotham City Police Department design and made of soft rubber. Can be attached to bags, belts, keys and other items. Measures approximately 6.5cm x 4.5cm. Officially licensed. Festival Wristband Set featuring 2 friendship style bracelets. 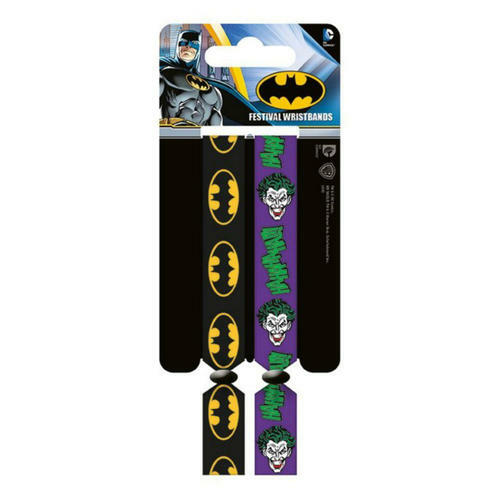 Each wristband is adjustable to fit all sizes and features 2 trendy designs from the Batman series. Officially licensed. Festival Wristband Set featuring 2 friendship style bracelets. 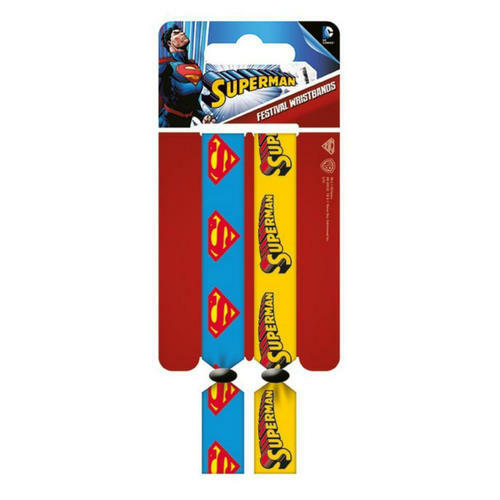 Each wristband is adjustable to fit all sizes and features 2 trendy designs from the Superman series. Officially licensed. 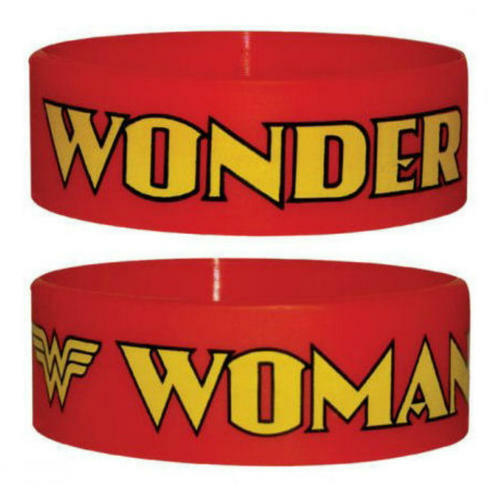 Rubber Wristband made of soft, gummy rubber and measuring approximately 65mm in diameter. 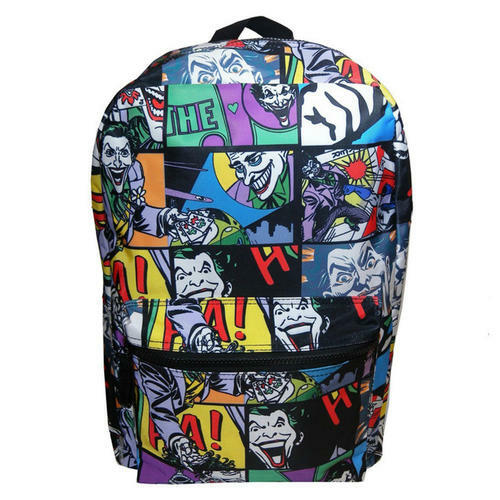 It features the classic Batman insignia and is perfect for the many fans of the superhero. Officially licensed. 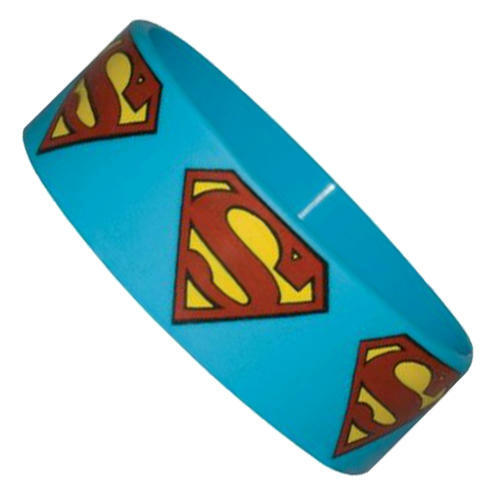 Rubber Wristband made of soft, gummy rubber measures approx 65mm in diameter. Features Batman text and logo. Officially licensed. 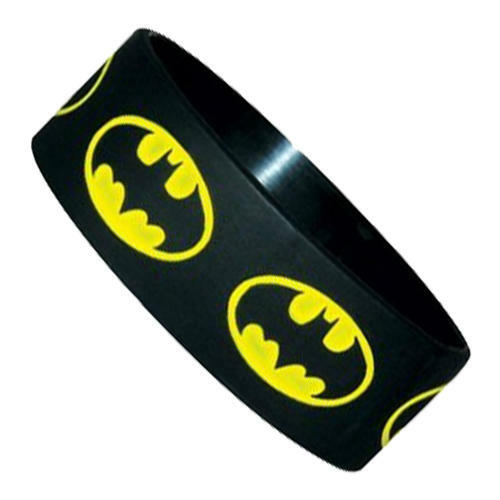 Rubber Wristband made of soft, gummy rubber and measuring approximately 65mm in diameter. 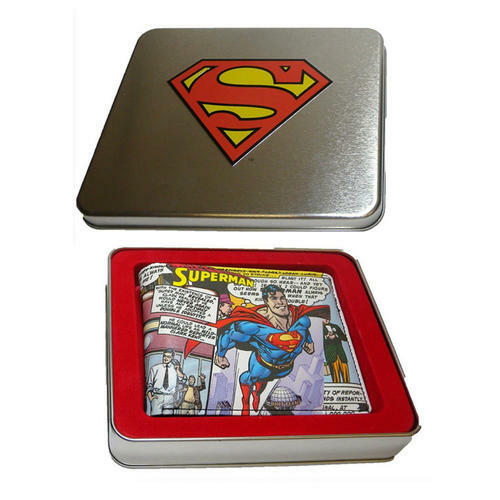 It features the classic Superman insignia and is perfect for Superman fans. Officially licensed. 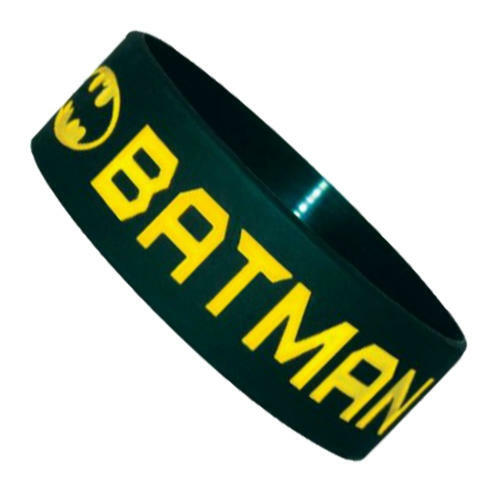 Rubber Wristband made of soft, gummy rubber and measuring approximately 65mm in diameter. 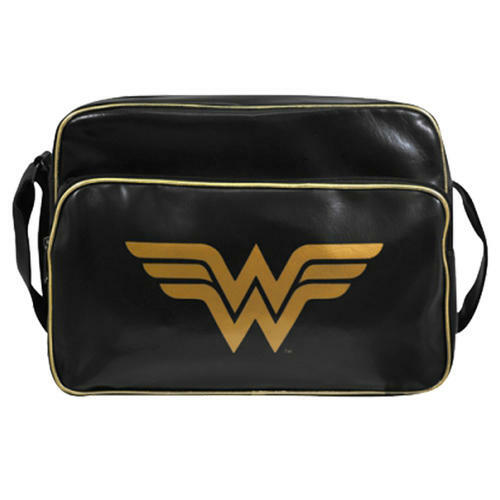 It features the classic Wonder Woman insignia and is perfect for fans. Officially licensed. 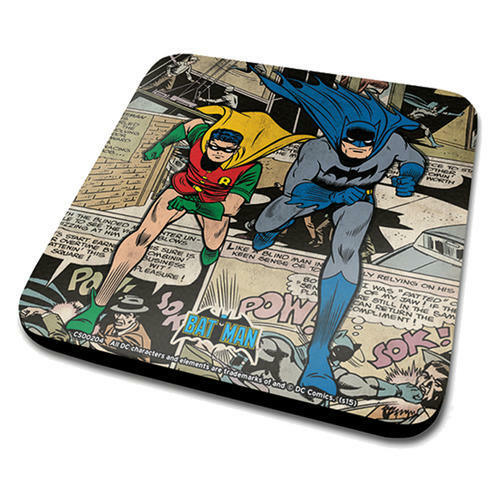 Batman Coaster featuring a comic book montage style design and measuring 10cm square. Features a high quality design and print on cork backing. Officially licensed. 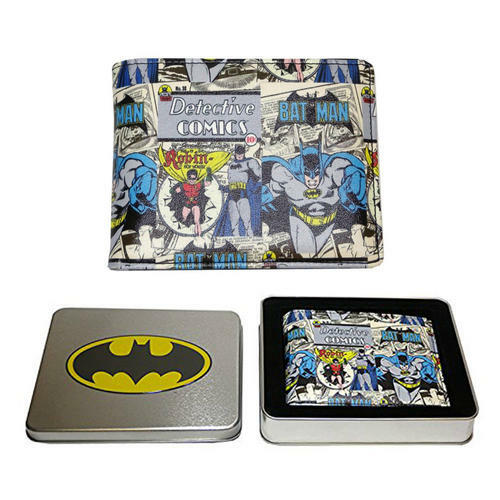 Joker Coaster featuring a comic book montage style design and measuring 10cm square. Features a high quality design and print on cork backing. Officially licensed. 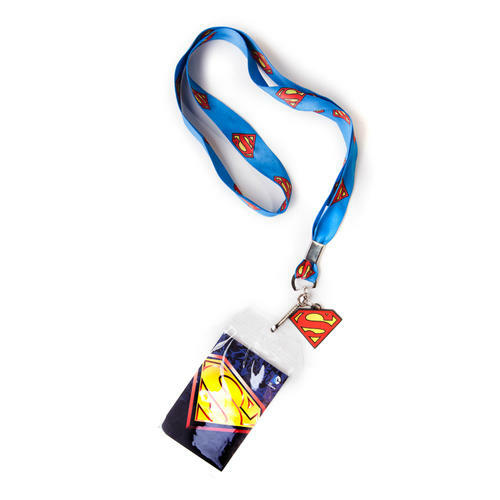 Superman Lanyard featuring a cool Superman rubber pendant attachment along with Superman logo ribbon design. Made using high quality fabrics. Officially licensed. 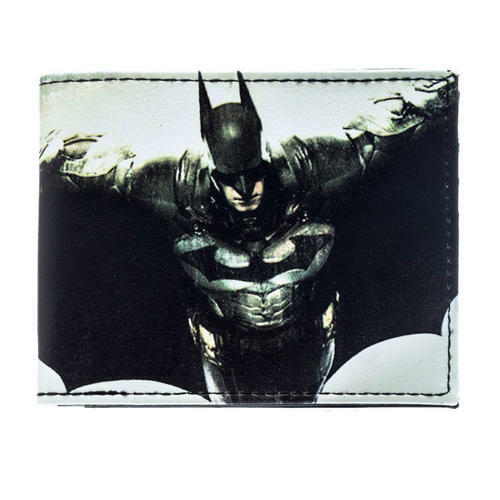 Wallet featuring a Batman Arkham Knight design. Inside are note and card slots. Made using high quality materials. Officially licensed. 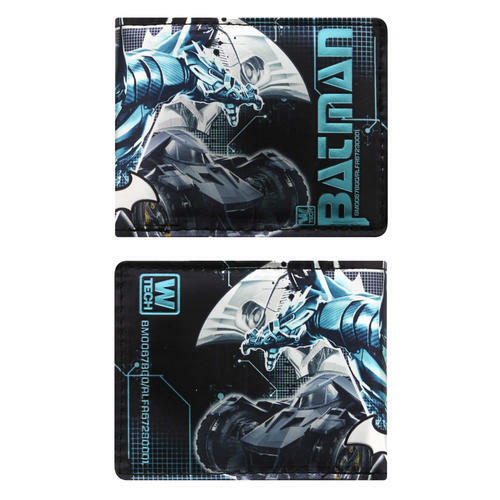 Wallet featuring a Batman Arkham Knight Batmobile design. Inside are note and card slots. Made using high quality materials. Officially licensed. Bifold wallet featuring a trendy design and measuring approximately 21cm x 9cm. Inside are note and card slots as well as a zip-up coin pocket. 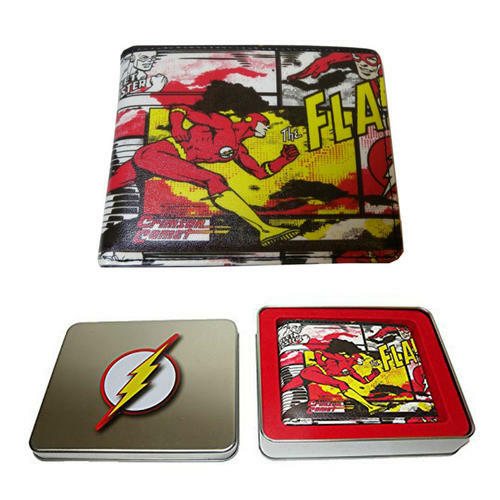 Comes packaged in a themed and collectable tin. Officially licensed. 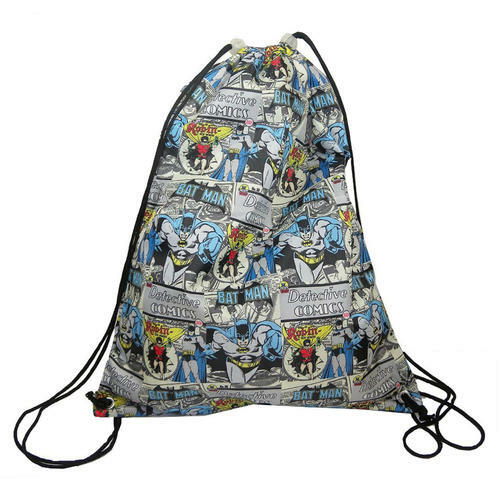 Gym Bag featuring a trendy comic book style Batman and Robin design. The bag measures 35cm x 28cm making it large enough to carry A4 files and also features drawstring straps. Officially licensed. 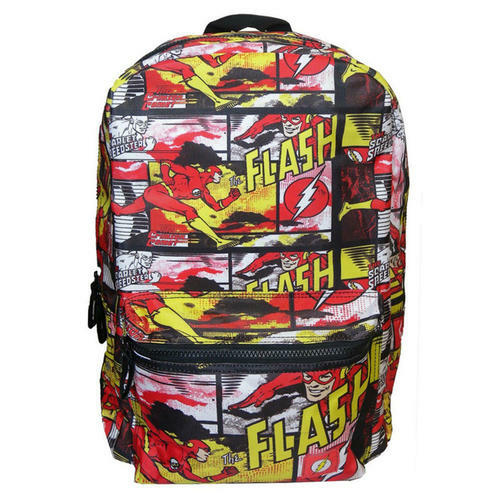 Gym Bag featuring a trendy comic book style Flash design. 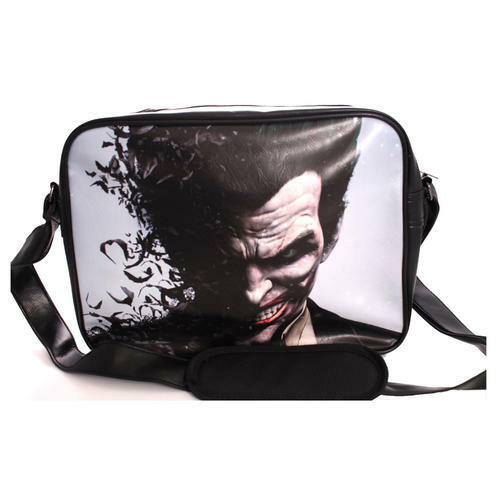 The bag measures approximately 35cm x 28cm making it large enough to carry A4 files and also features drawstring straps. Officially licensed. Messenger Bag measuring approximately 35cm x 28cm x 10cm. Features a padded adjustable strap, anti-scuff rubber feet, and external zip-up pocket. Officially licensed. 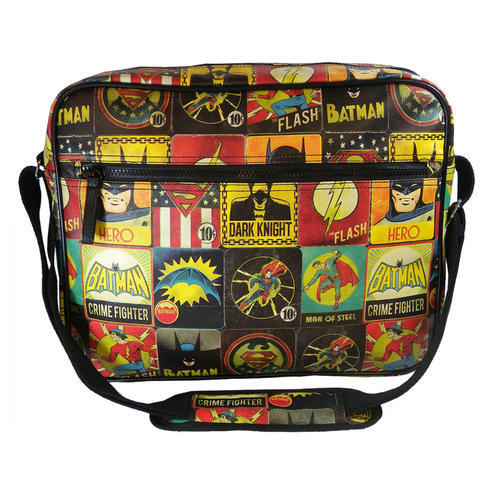 Messenger Bag featuring a vintage artwork design including Batman, Superman and the Flash. The bag features a padded adjustable strap, anti-scuff rubber feet, and zip-up pocket. Officially licensed. 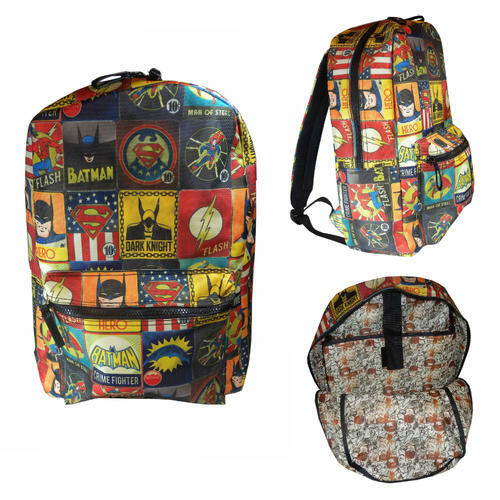 Backpack featuring a vintage artwork design. The backpack features padded adjustable straps, hanging hook, anti-scuff rubber feet, external zip-up pocket and internal laptop support. Officially licensed. 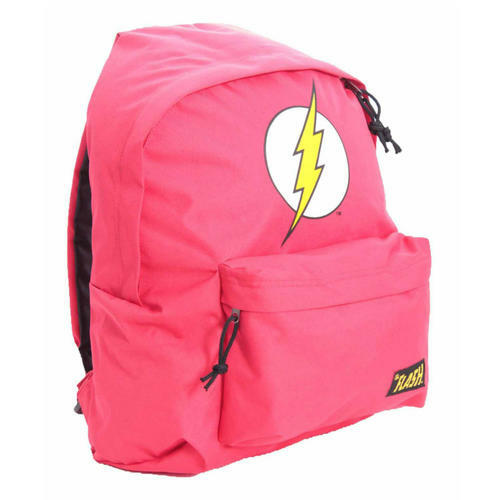 Backpack measuring approximately 40cm x 28cm x 12cm. Features padded adjustable straps, hanging hook, anti-scuff rubber feet, external zip-up pocket and internal laptop support. Officially licensed. 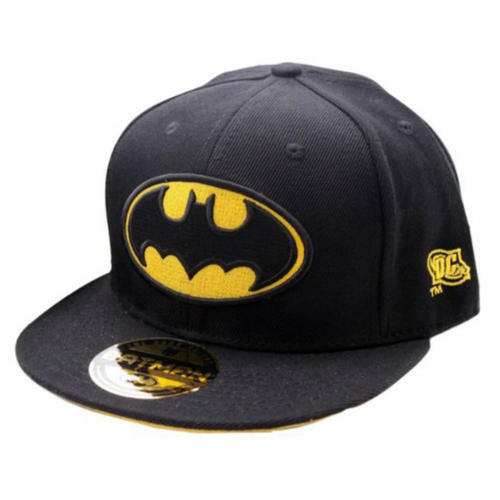 Snapback Cap featuring the iconic Batman logo design. Also features adjustable fastener. Officially licensed. 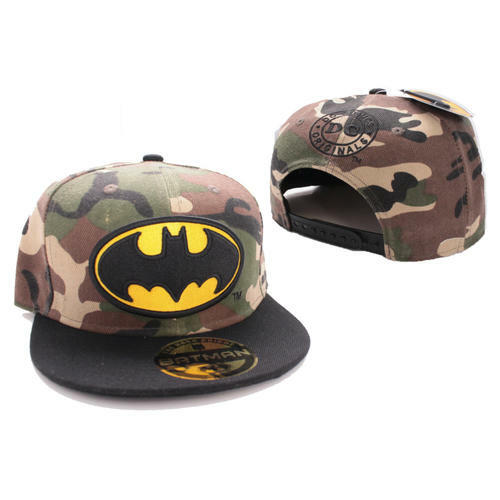 Snapback Cap featuring the Batman logo design on a camouflage base. Features adjustable fastener. Officially licensed. 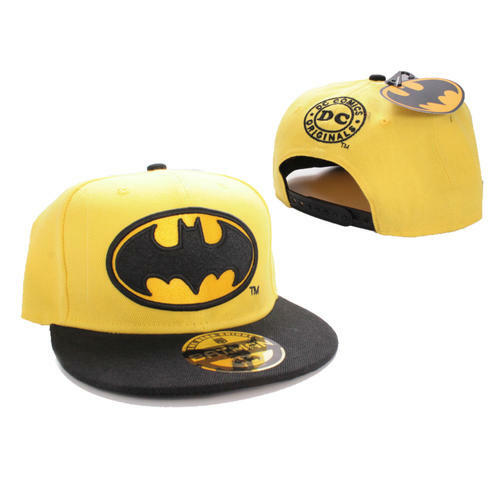 Snapback Cap featuring the Batman logo design on a yellow base. Features adjustable fastener. Officially licensed. 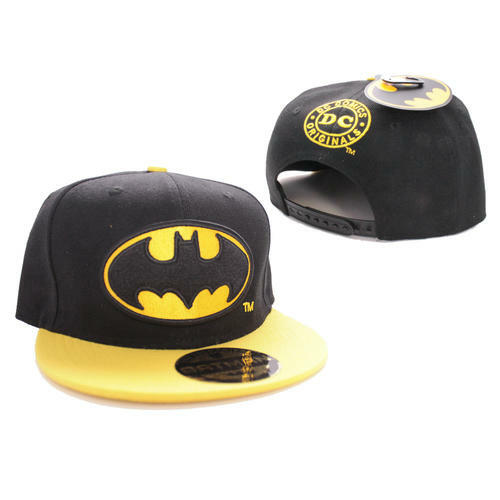 Snapback Cap featuring the Batman logo design with a yellow bill. Features adjustable fastener. Officially licensed. 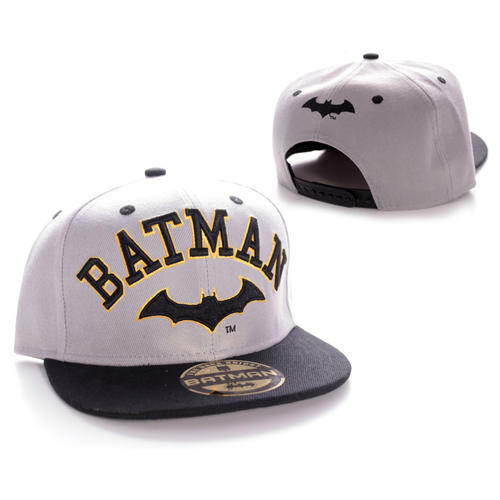 Snapback Cap featuring Batman text & bat symbol design. Features adjustable fastener. Officially licensed. 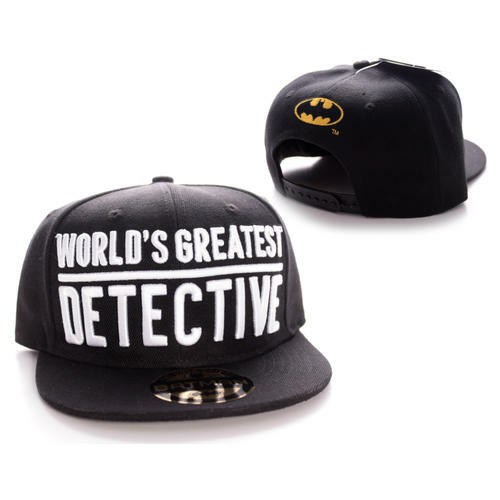 Snapback Cap featuring classic Batman 'Worlds Greatest Detective' text design. Features adjustable fastener. Officially licensed. 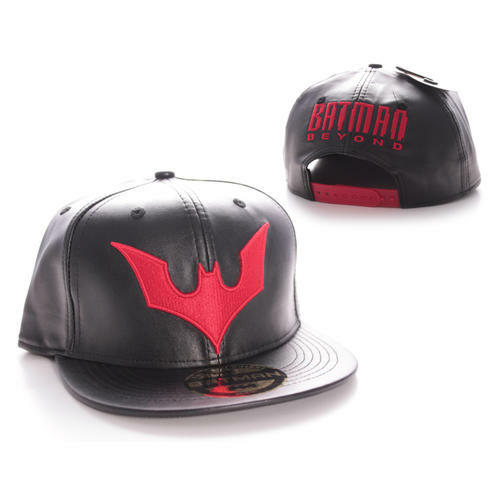 Snapback Cap featuring Batman symbol & Batman Beyond text design. Features adjustable fastener. Officially licensed. 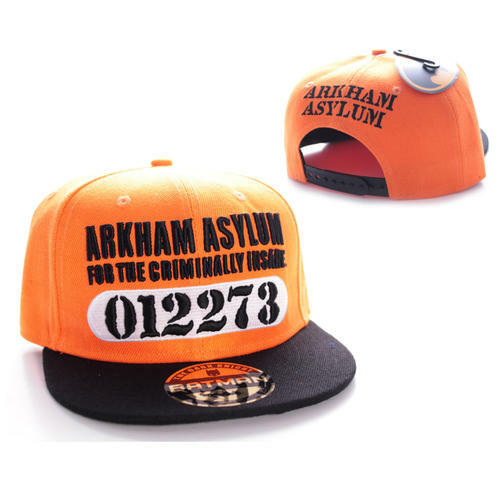 Snapback Cap featuring Arkham Asylum design. Features adjustable fastener. Officially licensed. 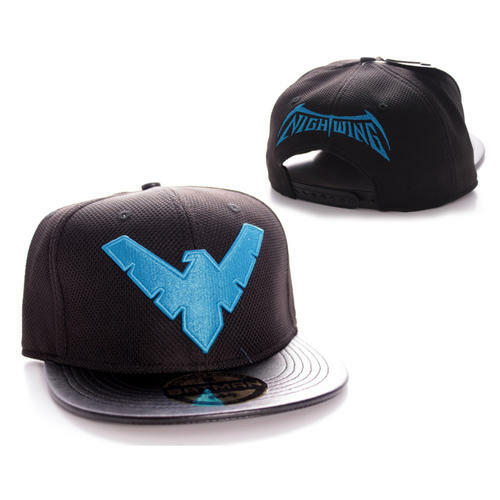 Snapback Cap featuring Nightwing logo design. Features adjustable fastener. Officially licensed. 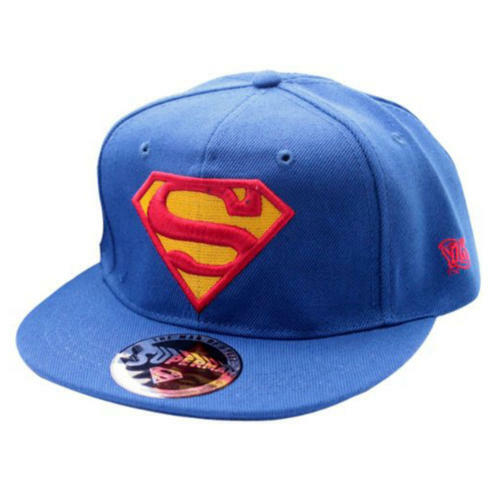 Snapback Cap featuring the iconic Superman logo design. Also features adjustable fastener. Officially licensed. 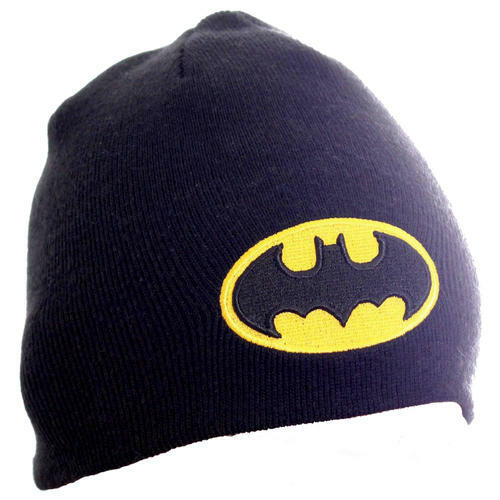 Soft and comfortable Beanie featuring a high quality embroidered Batman insignia, ideal for fans of the 'Dark Knight'. Officially licensed. 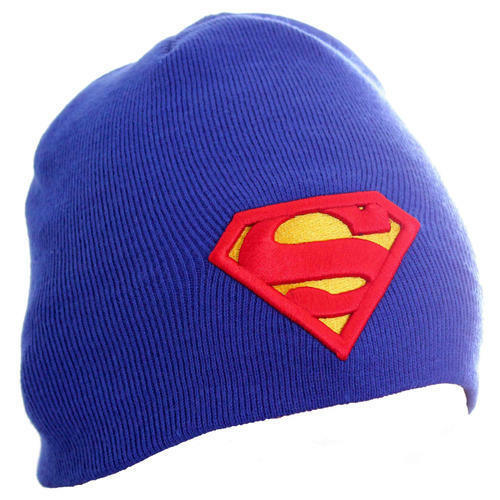 Soft and comfortable Beanie featuring a high quality embroidered Superman insignia, ideal for fans of the 'Man of Steel'. Officially licensed. 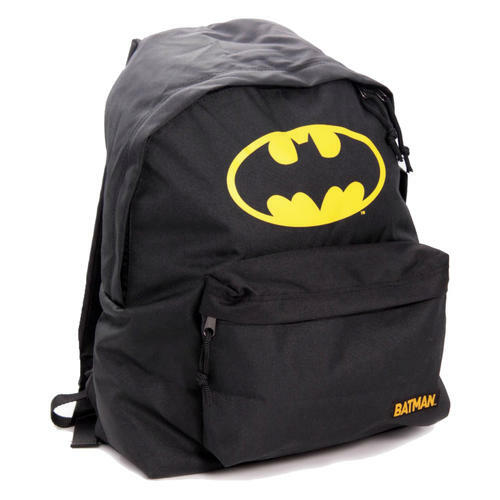 Backpack featuring the iconic Batman logo and text design. Features adjustable straps, front zip-up pocket and hanging hook. Officially licensed. 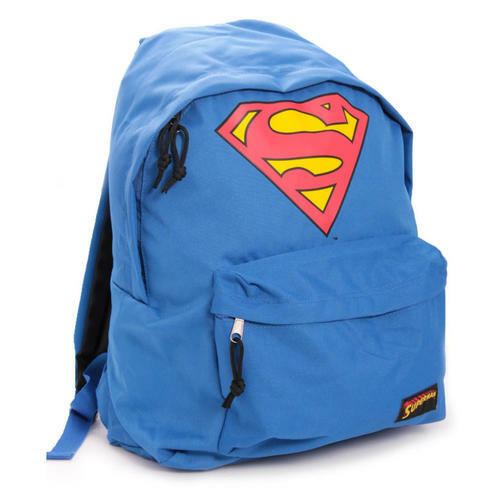 Backpack featuring the iconic Superman logo and text design. Features adjustable straps, front zip-up pocket and hanging hook. Officially licensed. 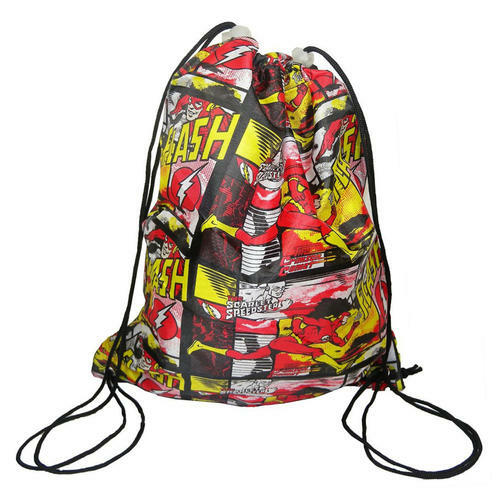 Backpack featuring the iconic Flash logo and text design. Features adjustable straps, front zip-up pocket and hanging hook. Officially licensed. 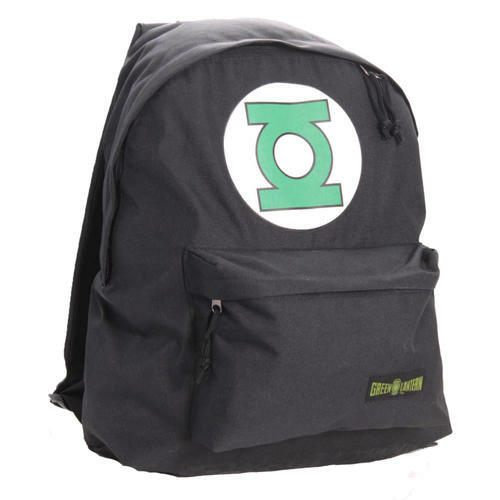 Backpack featuring the iconic Green Lantern logo and text design. Features adjustable straps, front zip-up pocket and hanging hook. Officially licensed. 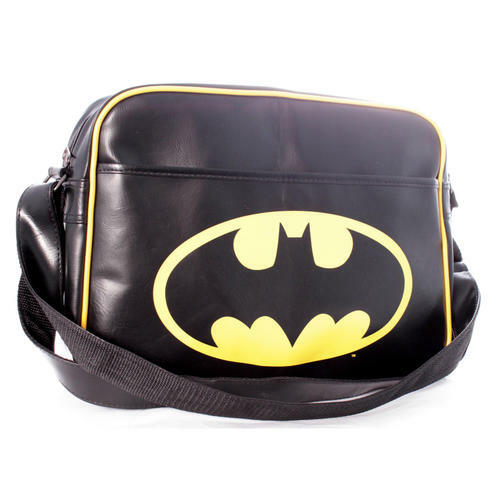 Cool and trendy Messenger Bag with a classic Batman logo design and featuring a large main compartment, front pouch and adjustable strap. Officially licensed. 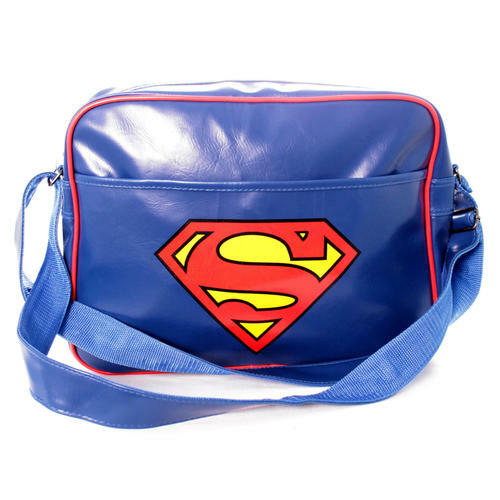 Cool and trendy Messenger Bag with a classic Superman logo design and featuring a large main compartment, front pouch and adjustable strap. Officially licensed. 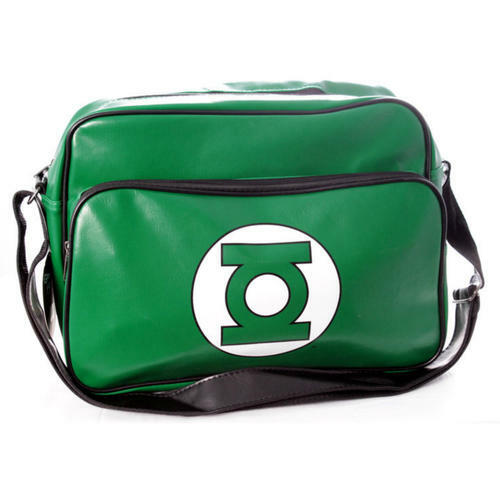 Messenger Bag with a Green Lantern logo design and featuring a large main compartment, front pouch and adjustable strap. Officially licensed. 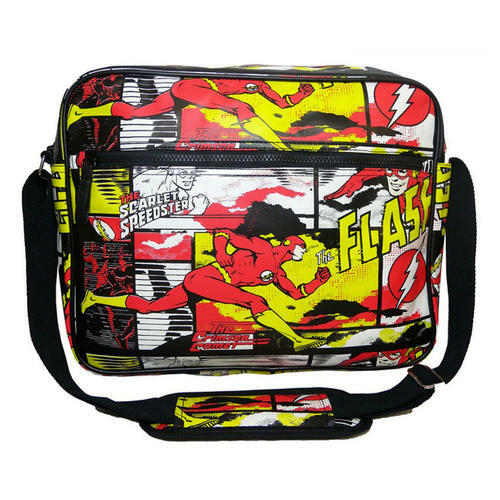 Cool and trendy Messenger Bag with a classic Wonder Woman logo design and featuring a large main compartment, front pouch and adjustable strap. Officially licensed. 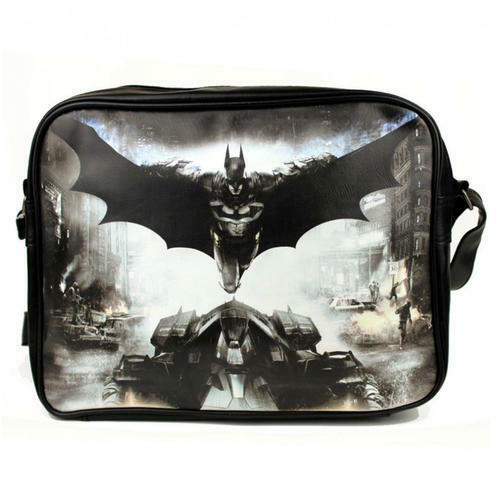 Messenger Bag with an Arkham Knight action scene design and featuring a large main compartment, front pouch and adjustable strap. Officially licensed. 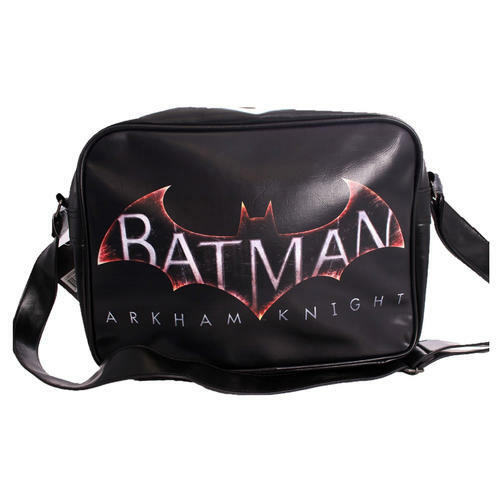 Messenger Bag with an Arkham Knight logo design and featuring a large main compartment, front pouch and adjustable strap. Officially licensed. 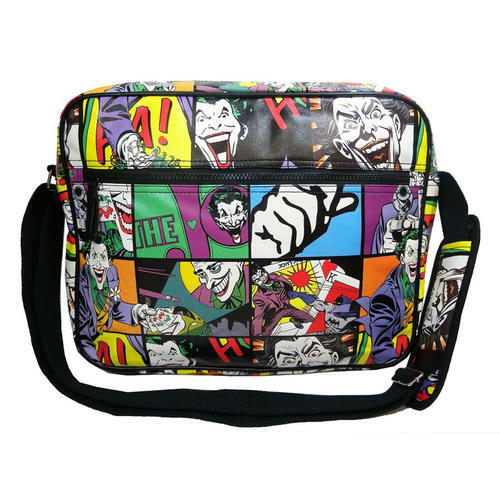 Messenger Bag with a Joker face design and featuring a large main compartment, front pouch and adjustable strap. Officially licensed. 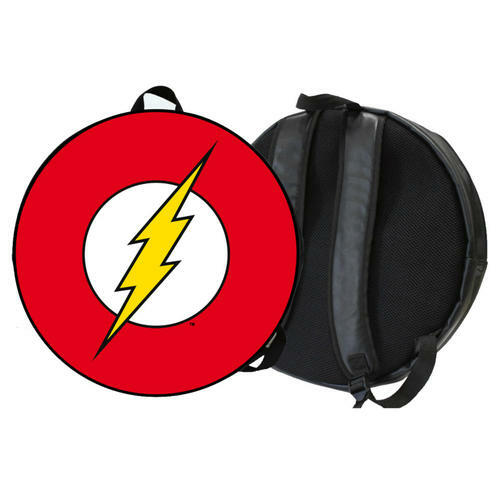 Large round shaped Back Pack with a Flash logo design. Also features a zipped compartment inside. Officially licensed. 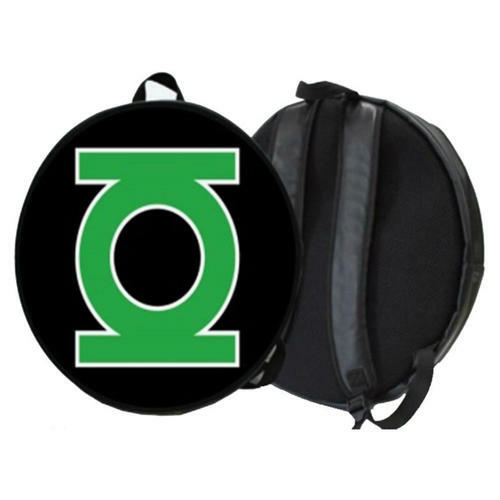 Large round shaped Back Pack with a Green Lantern logo design. Also features a zipped compartment inside. Officially licensed. 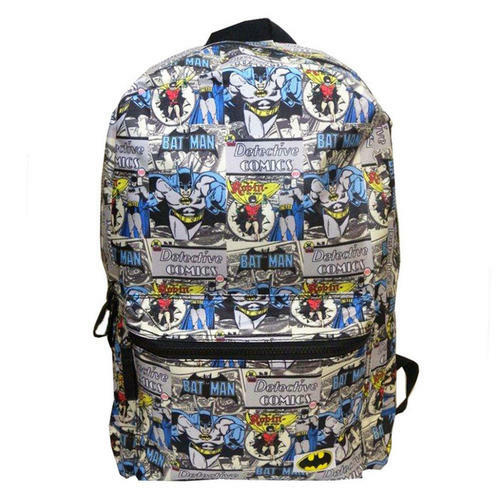 Back Pack featuring an allover print of multiple Batman logo's. Fits A4 size folders making it ideal for work, school or university. Officially licensed. 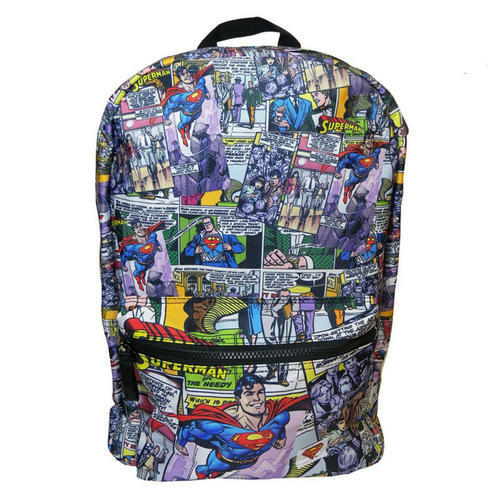 Back Pack featuring an allover print of multiple Superman logo's. Fits A4 size folders making it ideal for work, school or university. Officially licensed. 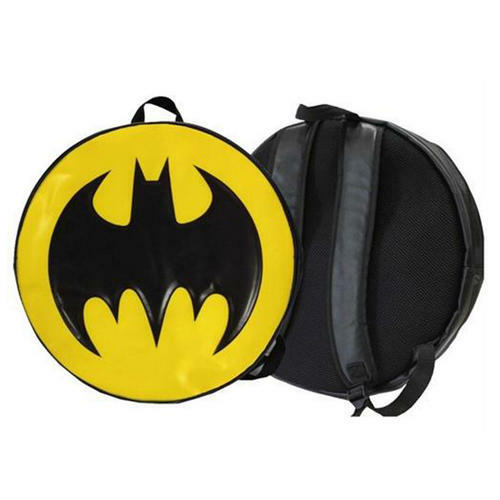 Large round shaped Back Pack with a Batman 'Call Sign' design. Also features a zipped compartment inside. Officially licensed. 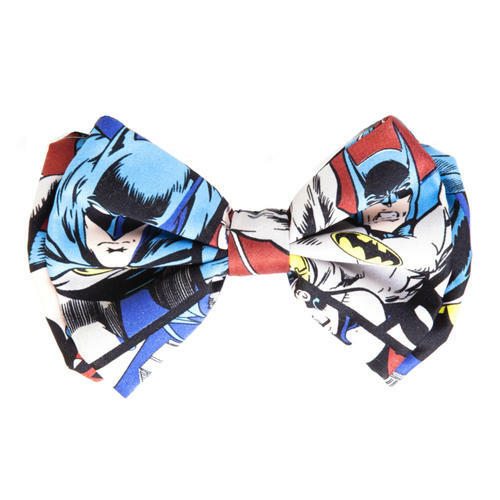 Bowtie featuring the classic Batman Comic book art and easy elastic attachment. Perfect for Batman fans to wear on those smart occasions. Officially licensed. 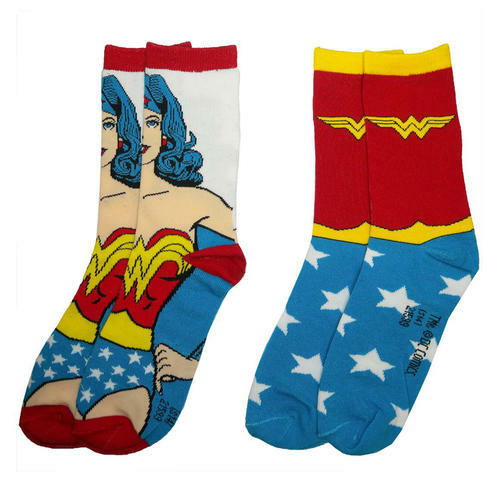 Set of 2 Wonder Woman socks featuring the iconic costume and character designs. The socks are made using high grade fabrics making them comfortable as well as cool. Size fits UK 4-7. Officially licensed. 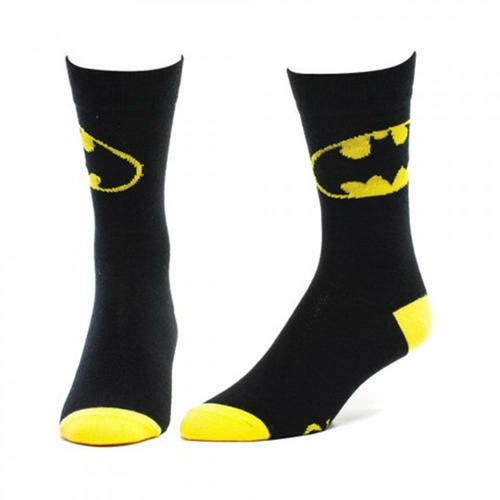 Comfortable and trendy crew socks that feature the famous Batman insignia design for fans of the superhero. Officially licensed.